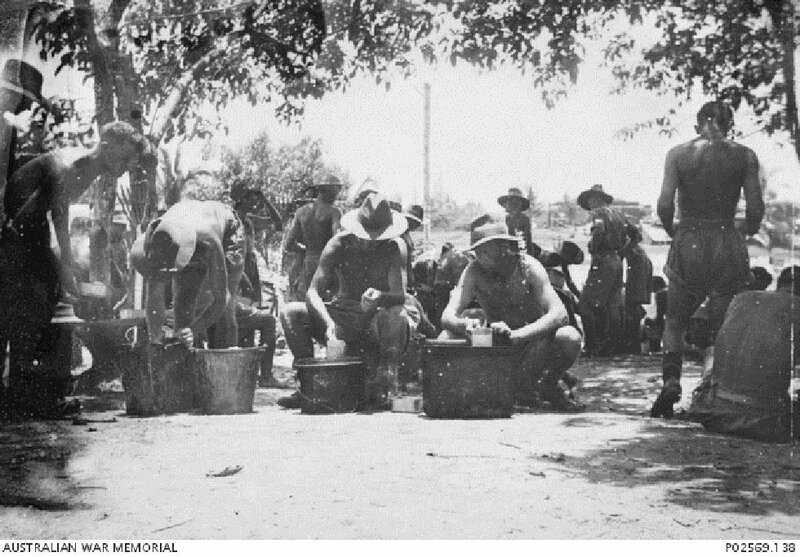 Unidentified POWs preparing to serve rice and possibly grass soup (made from boiling lalang grass, to provide vitamins to augment their rice diet), 1942-1943. Image courtesy of George Aspinall, Australian War Memorial. 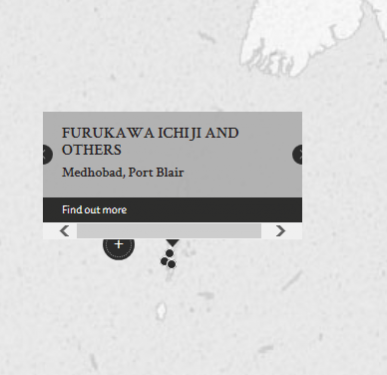 The defendants Petty Officer Furukawa Ichiji and Leading Seaman Matsushita of the Imperial Japanese Navy were employed to supervise coolies at Madhobad Salt Works on the Andaman Islands. In August 1945, the victim, Shahzad Mir, was a coolie at the salt works and was accused by an informer, Ghafur, of stealing rice. Furukawa heard this accusation and ordered Shahzad Mir to be tied to a tree. Furukawa and Matsushita questioned Shahzad Mir, who denied the theft. Furukawa then tried to force Shahzad Mir to confess, through blows delivered by Matsushita. Shahzad Mir persisted in his denials and Matsushita then shot the Shahzad Mir on the orders of Furukawa. Shahzad Mir's body was buried by other coolies who had witnessed the shooting. Both officers were charged with the ill-tratement and killing of Shahzad Mir, a civilian of Port Blair. Though the court acknowledged the "insuperable difficulties" of the Japanese forces in 1945 when the food situation on the Andamans was critical, and the provocation of the thefts, which injured the common chance of survival, it ruled that these could not condone the arbitrary execution of Shahzad Mir. Furukawa Ichiji was sentenced to death by hanging. His sentence was subsequently commuted to imprisonment for life. Matsushita Koichi was sentenced to death by shooting, with a recommendation to mercy. His sentence was subsequently commuted to imprisonment for 15 years. Although both defendants Furukawa Ichiji and Matsushita Koichi confessed to shooting the victim on orders, the order in question only stated that a person guilty of theft was "liable" to be shot on the spot (and not necessarily ordered to be shot). Hence, the prosecution and defense disagreed about the real legal meaning of the order and consequently, about whether the officers did indeed have judicial powers to shoot a person guilty of theft. Furukawa, Ichiji. Petty Officer. From Japanese military. From Japan. Guilty. Death by hanging. Sentence commuted to imprisonment for life. Matsushita, Koichi. Leading Seaman. From Japanese military. From Japan. Guilty. Death by shooting, with a recommendation to mercy. Sentence commuted to imprisonment for 15 years. Rickford, R.R. Major. From British military. Dunsford, S. Captain. From British military. Brown, D.E. Major. From British military. Certified Clerk. Lead Counsel. Lalla, G.C. From British Indian Army. Advocate (India). Co-Counsel. Murakami, Takeshi. From [Japanese] military. L. Bach. (Sendai). Lead Counsel.